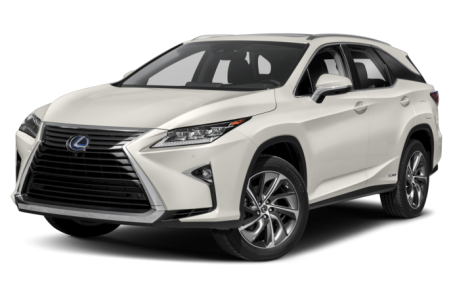 The 2018 Lexus RX 450hL is an all-new, longer-body variant of the RX 450h hybrid crossover. While there is more interior room, it only seats up to six passengers instead of the usual seven. Under the hood, the RX 450hL is powered by a combined 308-hp, 3.5-liter V-6 and two electric motors mated to an electronically controlled continuously variable transmission and all-wheel drive. Fuel economy for the RX 450hL is an EPA-estimated rating of 28/31 mpg city/highway. Two trims are available: Premium and Luxury.